The Bachelor is an American reality competition television dating game show created by Mike Fleiss and produced by Next Entertainment in which a group of women court an eligible bachelor and are eliminated each week by him until only one remains. One lucky man gets the opportunity to find the woman of his dreams - and hopefully his bride-to-be - in this primetime reality competition series. 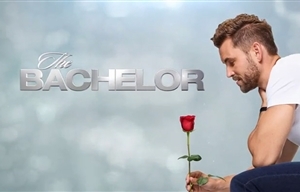 The Bachelor embarks on a romantic journey meeting 25 women, then selecting 15 as potential mates. After getting to know each one, he continues to narrow the field, from 10 to 5, then 3, and ultimately, the 1 woman to whom he propose marriage in the series' dramatic finale. The show also takes an in-depth, behind-the-scenes look at the lives of each participant involved in this unique courtship. America's most eligible single man travels to exciting romantic locations with the ladies, introduces them to his closest friends and family and visits their hometowns to meet their parents. At the end of the journey, he will have had an unforgettable experience and, quite possibly, found true love. But the big mystery is: If he pops the question, will she accept? The bachelor must follow a process of elimination where his pool of bachelorettes is narrowed down week by week by presenting a rose to each of the women he wishes to keep. At any point during the process, if a woman decides she is no longer interested in the bachelor, although he may still be interested in her, she may leave. A few have actually done so over the course of the show. In the end, the bachelor selects one lady and gives her the final rose. He may or may not propose to her at this final rose ceremony. Hosted by Chris Harrison, The Bachelor is a production of Next Entertainment in association with Warner Horizon Television. Mike Fleiss, Martin Hilton and Alycia Rossiter are the executive producers. Season 11 was meant to air on M-Net Series from Friday 11 September 2009, at 20h00, but a scheduling mistake by the channel - in which they aired The Bachelorette 4, which contained spoilers for Season 11 of The Bachelor - first, The Bachelor 11 was cancelled and did not air in South Africa.